Grand Avenue runs diagonally through Phoenix. “Off the grid,” so to speak. So it’s only appropriate that they have some of the hippest shops, restaurants, galleries around. It’s an eclectic group, and the Festival this weekend is the place to be. Grand Avenue is popular for its First Friday crowd in particular, but their all-day Festival THIS Saturday, Sept. 26th, will have live music from noon to midnight, three fashion shows (including “Boho haute hippie”), and historic/adaptive re-use tours (basically, old historic buildings that are once again shiny). Over 15 galleries and studios will be open for perusing, including painting, sculpture, photography, mixed media, and more, more, more. Restaurants will be open and bustling (don’t miss The Paisley Violin – it’s a local staple), and shops have crafty, urban, creative gear (my personal fave is Butter Toast). To find out where to go, see the map. Parking should be easy on any of the side streets, and weather will be beautiful for walking. For all the details, check out the Grand Avenue Festival page. See you there! Arizona Restaurant Week is here again! It started last Friday, and runs through Saturday, Sept. 26th. There are over 100 premiere restaurants participating, which means this is the time to check the ones you’ve been dying to try off your list. Each restaurant serves 3 courses (some include a cocktail! ), $29/person, $58/couple and is a real deal. 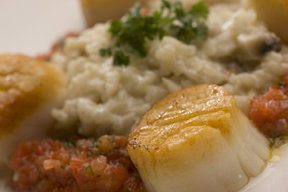 The restaurants take the time to show off their best, so this is the time to try their specialties. Some of our fave places include BLT Steak, Vincent’s on Camelback, Zinc Bistro, Tarbell’s, Ko’Sin and True Food. But really, they’re all delicious, they’re all over town, and they’re all the kinds of food you crave. Check out all the deets and a full list of restaurants, then head out! When new places in downtown Phoenix are being built, it’s exciting to see the change from day-to-day, particularly in the old, historic homes that turn into new restaurants. America and Terry Bortin morphed an old home on 7th Street into one of the most coveted Mexican lunchtime spots. The wood floors, the brick, the porch are reminders of once was, but now makes for an extremely cute atmosphere (read: just festive enough without being crazy). 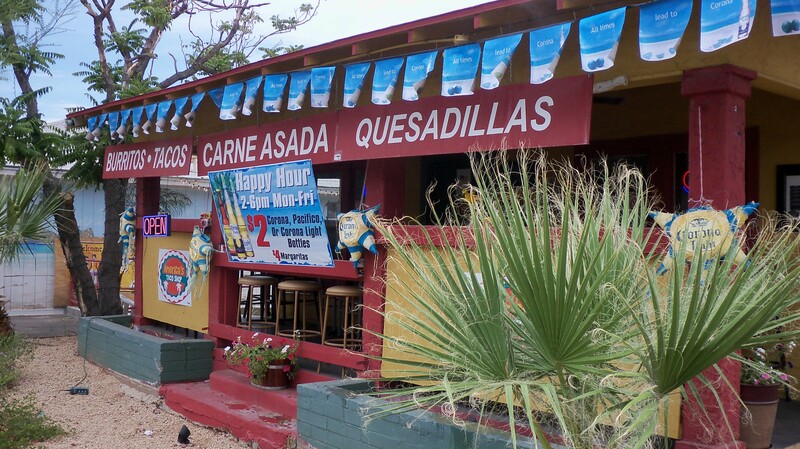 America’s Taco Shop has even just been recognized by Sunset Magazine for its fantastic carne asada – their specialty – and with a lot of competition in Phoenix, that is an amazing achievent for such a new place. The menu is basic but delicious, and good for the pocketbook as well; you can easily do lunch under $10. My favorite is the burrito, with guacamole of course, and with one of the Mexican sodas, it’s like going on vacation during the lunch hour. The beans are amazing and soft, and the chips supremely fresh. I’ll tell you one thing, this store does me a favor just by being there. Do Me A Favor is the quintessential gift store. 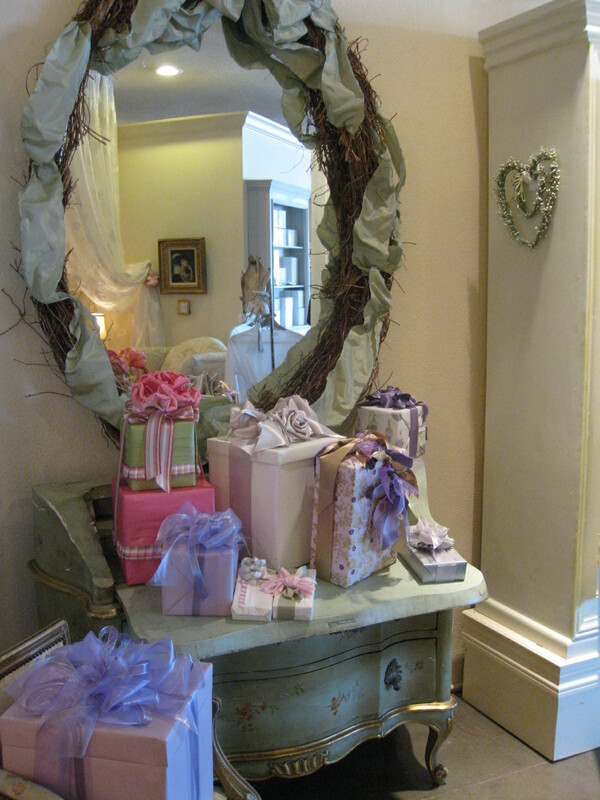 I mean to tell you – it is stocked with the world’s perfect gifts for every occasion. Going to a wedding? The silver and crystal pieces, and amazing dishware, is yours for the taking (matter of fact, they even have registries). Mother’s Day? Check out the decadent robes, pajamas, fragrances, and luxurious bath products. Father’s Day? Easy. How about some wine glasses, or barbecue serving ware? Christmas and Hanukkah? Don’t even get me started. It’s the place to go when you don’t know what to get, but you know it has to be unique and special (shouldn’t all gifts be that way?). They have great seasonal stuff too (read: perfect hostess gifts). For summer this year, East Coast lobsters, crabs and starfish are center-stage, and the fall stuff is straight out of New England red-brown-golden forests. Here’s the best part: the gift wrapping. Pictures can’t even do a justice. They have a staff that will make your gift look like a million bucks, when it certainly won’t cost that much at Do Me a Favor. There is something at every price point, believe me. 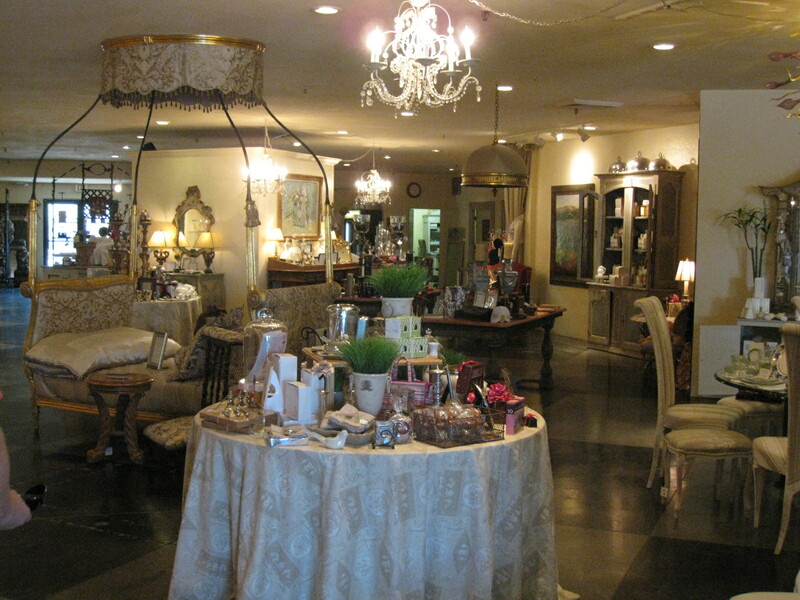 It’s also centrally located on Camelback Road and 10th Street, so go stock up on presents…and remember the best gifts of all are to yourself! Yes, I love coffee. LOVE. But it’s a chicken-and-the-egg thing because I’m not sure which came first: my love of coffee that led me to great places, or the fantastic places that make it so easy to love. Copper Star Coffee is one of those places. 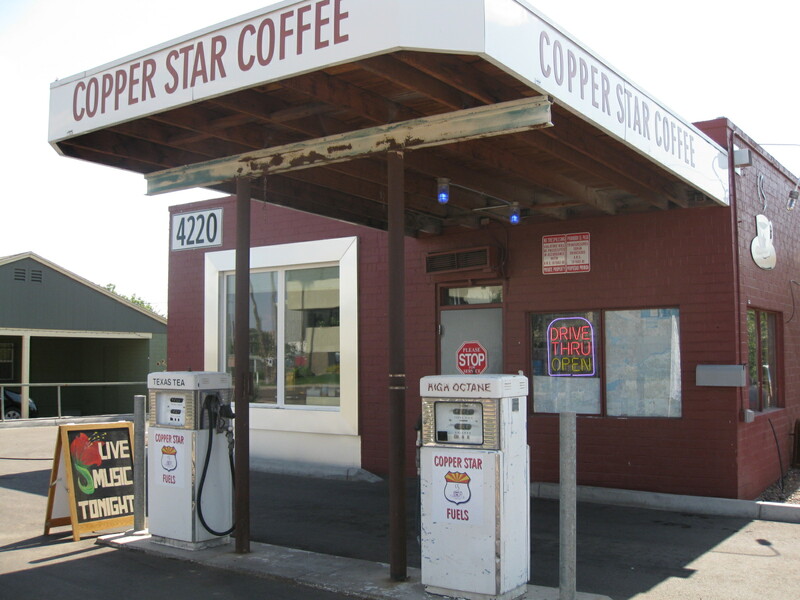 Built in an old gas station turned transmission repair, Copper Star Coffee on 7th Avenue has all the great nostalgia and aesthetic of its former life, but an entirely new smell. 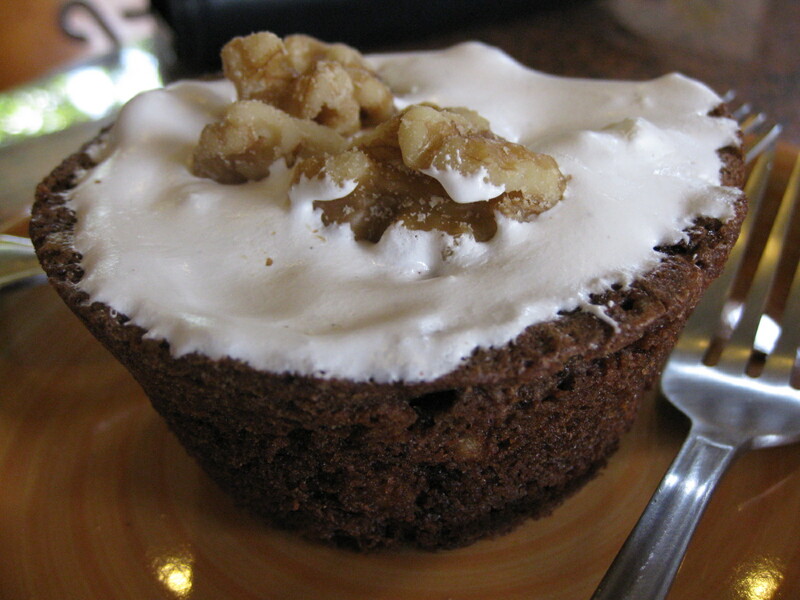 Instead of gas and oil, aromas of freshly roasted coffee beans and pastries made on site. Now, Copper Star refuels me instead of my car. The funky couches and tables are a second home to a lot of locals who spend quite a few hours there. The staff is so friendly, it’s easy to see why. Or maybe it’s the pastries. There is this rocky road brownie there that will blow your mind. I mean seriously. It is absolutely one of the most delicious things I’ve ever eaten, to the point that I would never share it. Get your own, for sure. See below in all its glory. Pop into Copper Star when you’re checking out the other 7th Avenue shops, like Hollywood Regency, Paris Envy, Qcumberz and more. It’s right in the Melrose District, and you can’t miss it. 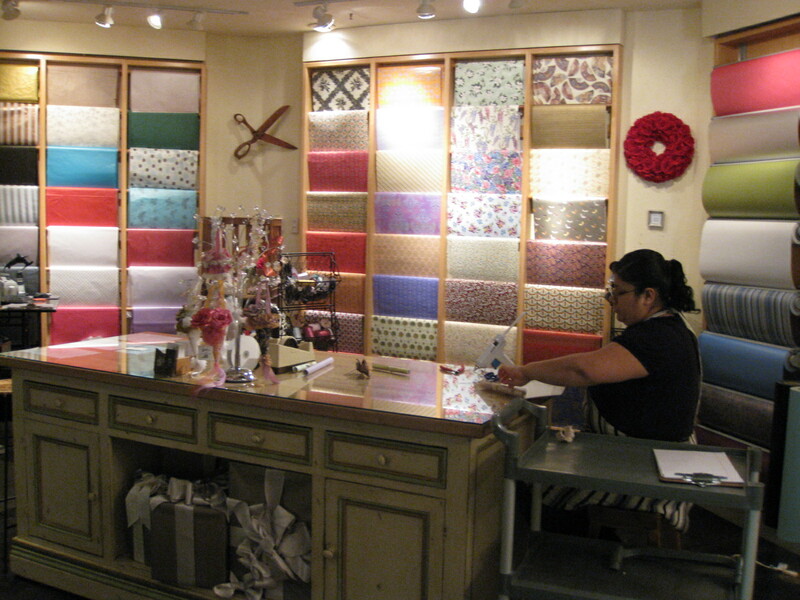 Shopping in Phoenix is so great because there are so many niches that our boutiques fill. The home and garden category is robust, but truly each story is very different. Take Paris Envy, for example, which is situated right on the 7th Avenue Melrose District. At first glance, it carries relics similarly found at some other boutiques, but noticeably higher quality – without the higher prices. 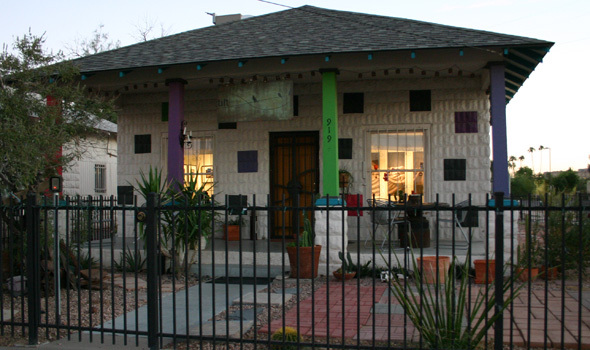 The shop sits in a former home with amazing wood floors, two stories, and fantastic location in between downtown and central Phoenix. Immediately upon entering, there are two things that hit you: amazingly European and amazingly modern. 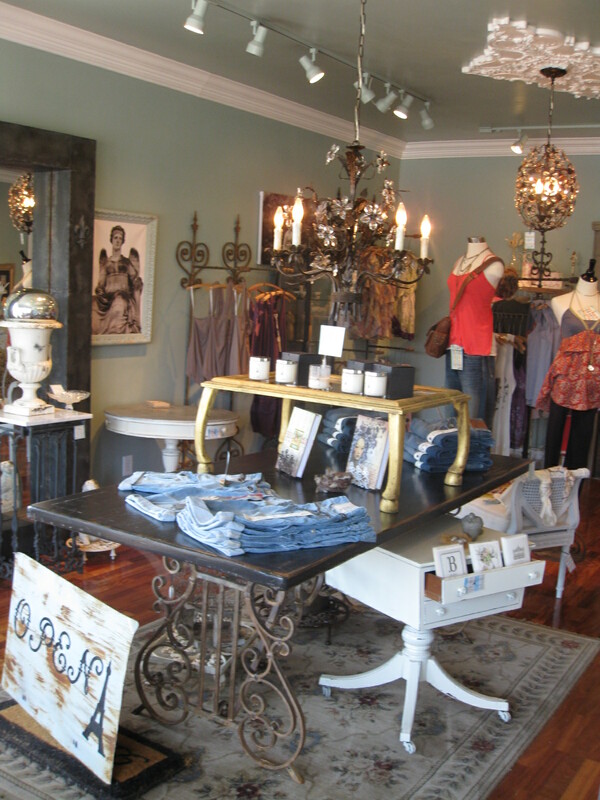 Ther first room feels like something in Anthropologie, with French soaps, their own line of scented candles, clothing, jewelry, kids toys and gifts (also known as the perfect room for gift buying). An adjoining room and the upstairs are filled with fantastic furniture pieces, from bookshelves, Louis XVI chairs, zinc-topped tables, coffee tables out of reclaimed wood, etc. 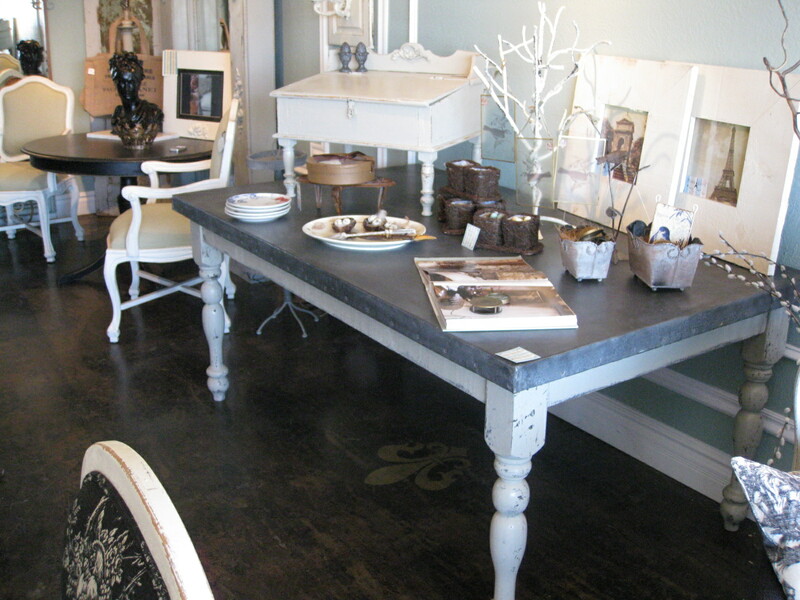 The difference with Paris Envy is that one of the partners is an amazing carpenter, so he searches high and low for great wood, table legs, chair frames, and more to take to his shop and make into something magical. An electrical engineer by day, he handcrafts the pieces and works at the store. There’s truly something to be said for shaking the hand of the person who made something from nothing. 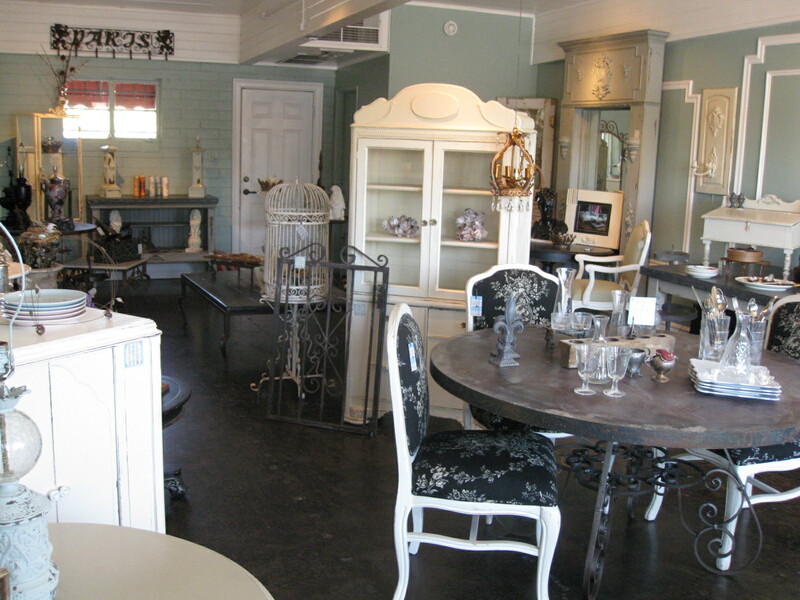 The home accessories are unique to Paris Envy versus other stores in Phoenix as well; I comb the shops and haven’t found anything like the mirrors, dishes, statues and even vintage bird cages Paris Envy carries. Go for a gift, go for yourself.